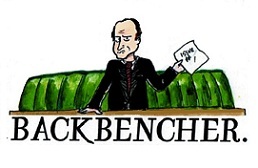 Intemperate words from Jeremy Corbyn yesterday, bellowing across the dispatch box, in response to a budget that has been greeted with widespread disappointment and which made no mention of social care, despite the continuing crises in the system. Days before the budget, 90 MPs, over a third of whom are Conservatives, wrote to the Prime Minister demanding cross-party action on social care, telling the PM that “the need for action is greater than ever.” Perhaps the plea did not find its way next door to number 11. None of the government’s half-hearted attempts to close the care-funding gap have been successful. The Social Care Precept enabled local authorities to choose to raise council tax to help fund social care. It has been widely adopted by desperate councils. But because the precept depends on council tax, and therein property values, many decried it as benefiting poorer areas least, ironically those areas where local authority funded care is most necessary. 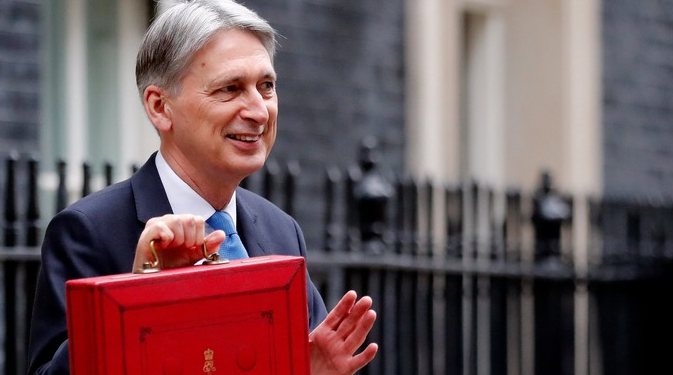 The chancellor would likely point to the £2 billion ring-fenced for social care in this year’s Spring Budget, to be spent over the next three years, some of which has already been allocated to councils. This, coupled with the Precept has seen social care funding rise by 3% this year, an increase of £556 million, the first year on year increase since 2009/10. However, as funding is increasing so is demand, and the latter is still outstripping the former. By 2019-20, The King’s Fund estimates that social care will still face a funding gap of £2.5bn, despite these measures to increase funding. With a current average of 5,000 new requests for care every day in England, this is as daunting as it is understandable. Separate research by the Local Government Association predicts that caring for the elderly, other vulnerable adults and children, will consume almost 60p out of every £1 of council tax by 2020, a 41p increase since 2010/11. The LGA is sounding the alarm that the costs of social care are taking more and more money away from day-to-day services, such as repairing potholes, keeping streetlights on, parks clean and so on. Councils could be forced to ration essential services if the care-funding gap persists. The way councils raise money is also undergoing a radical change. The largest source of central government funding; the Revenue Support Grant is being phased out. In return, councils will retain more of the money raised through business rates, from 50% in 2015 to a targeted 100% by 2020. However, the changes to business rate retention were not included in the Queen’s speech, nor cited in the budget statement this week, leaving councils uncertain about how concrete this measure is and how they will be funding services in years to come. Addressing the immediate crises in social care will require additional funding. However, the long-term solution for elderly social care provision in the UK requires deeper thinking. The endless, circular arguments about social care funding are reminiscent of many debates in our country when it comes to social services, where any form of insurance scheme is anathema. One of the fundamental goods of the NHS is the ability to receive all manner of treatment without any form of point of use payment, this is a social service provided by general taxation, akin to policing, firefighting and national defence. We could choose to fund social care through central taxation, as we do with the NHS. But can we honestly say with confidence that this would ensure sustainability and drive up outcomes long term? When answering this we should pay attention to the current crises faced by the NHS itself. When it comes to social care, other options should at least be open to consideration. Our society and ways of life have changed. We all know that we are living longer and unlike in bygone eras, it is rare for elderly relatives to live with their sons and daughters. Because of these deep societal changes and others, we need to think rationally about the best way to fund social care, not with the sole aim of cutting costs, but to improve services, make the system sustainable and a guarantor of dignity and wellbeing in later life. Another option to fund care services in the future is to move towards an insurance-based model. Take the example of the ultra-liberal, egalitarian Netherlands, where insurance schemes for social care, run by not for profit agencies, are compulsory. However, even systems like those in the Netherlands, which combine compulsory insurance and central taxation, are encountering their own funding shortfalls. Poor economic performance and the fact that care funding has already been increased – however lacklustre that increase has been – may have led the chancellor to believe he could ignore social care, as so many chancellors and minsters have in the past. Phillip Hammond’s attitude may have been buoyed by the announcement that the long awaited green paper on care and support for older people will be published by summer 2018. Indeed the timing of the announcement, two days before the budget, was probably a pre-emptive defensive manoeuvre. For some time now, the green paper has been the go-to get out of jail free card for any minister or prime minister facing a grilling on social care. Hope then, springs eternal. Truly effective policies are what everyone desires from the green paper. Accomplishing the shared goal of improved care, which is sustainable and affordable, will require data driven decisions, original approaches and perhaps just as important; political will and personal courage.